"Does a hulking, hairy, 800-pound, nine-foot-tall, elusive primate roam the woods and forests throughout North Americaand the world? What should we make of the grainy videos and photos and the thousands of eyewitness reports? Audio-recordings exist purporting to be the creatures’ eerie chatter and bone-chilling screaming. 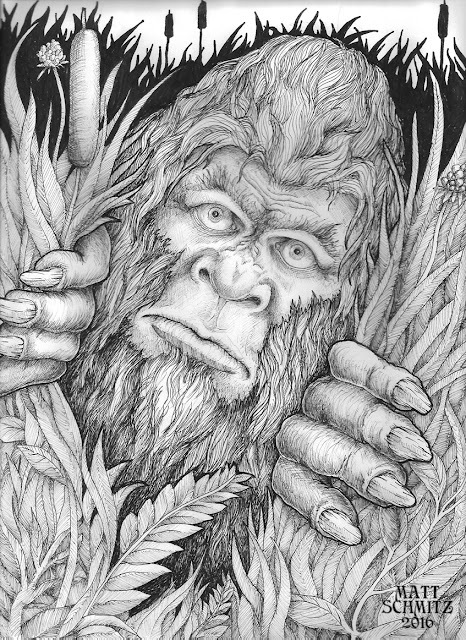 Whether called Sasquatch, Yeti, Bigfoot, or something else, bipedal primates appear in folklore, legends, and eyewitness accounts in every state of the union and many places around the world. The fascination with the man-beast is stronger than ever in today’s pop culture. 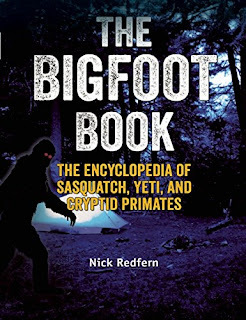 Exploring the history, movies, and literature, the conspiracy theorizing, and the world of the supernatural, The Bigfoot Book: The Encyclopedia of Sasquatch, Yeti and Cryptid Primates is a comprehensive resource to the man-beast. With nearly 200 entries and 120 photographs, drawings, and illustrations, it is the definitive guide to understanding, hunting, and avoiding the brute, as well as discovering the facts behind the sightings and horrifying tales. 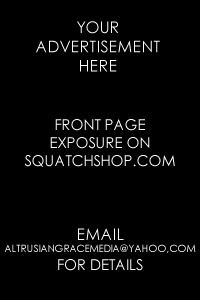 It covers 400 years of folklore, mythology, history, and pop culture, including Native American lore, the wild men” reports in the pages of 19th century-era American newspapers, Florida's Myakka Skunk Ape, Australia's Yowie, China's Yeren, Himalayas’ Yeti, Russian expeditions, Harry and the Hendersons, Exists and the countless movies titled Bigfoot, as well as specials on the television shows Animal Planet, Discovery Channel and National Geographic Channel, scientific reports and findings, and much, much more. 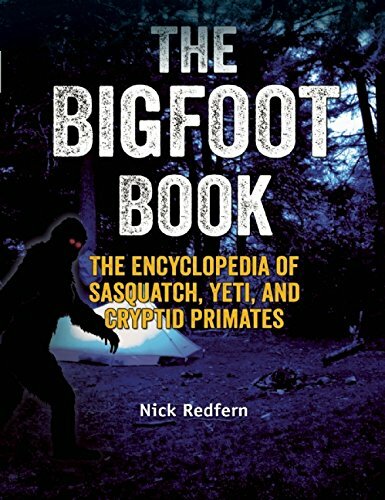 Various documentaries and reality television shows have all superficially tackled the subject, but Nick Redfern presents a truly encyclopedic look at cryptid primates. It is a richly researched reference, overflowing with fascinating information to make readers thinkand reconsider their next camping trip." So, check it out as it's a few dollars off the list price currently and add it to your crypto library.